James Minchin III Miranda Lambert: Girl, you're so fired up! The enemy lines of alt and mainstream country have been confounded at least since the Dixie Chicks cut Patty Griffin, and Bruce Robison and Brooks and Dunn out-scorched the Scorchers with Red Dirt Road. 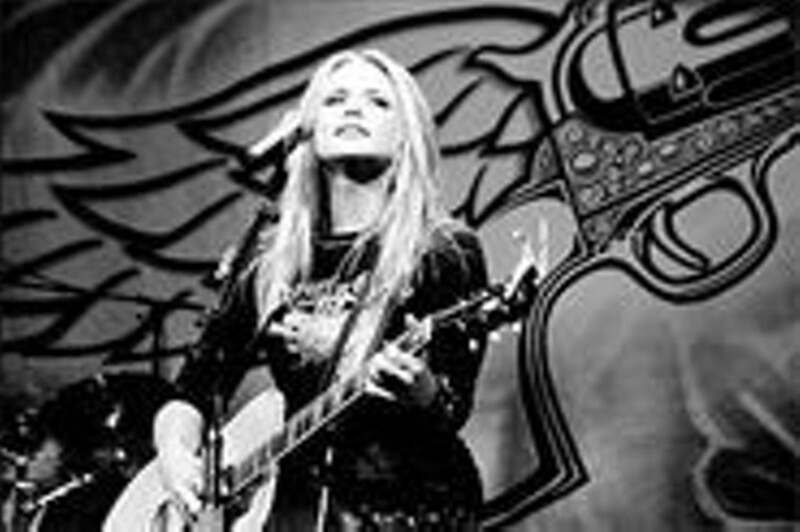 Nobody in Nashville, however, fights a culture war like Miranda Lambert. The upstart Texan's great 2005 single "Kerosene" slashed together the stomp-and-buzz of Steve Earle and the Velvet Underground, and her new album Crazy Ex-Girlfriend starts off with a sequel, "Gunpowder and Lead," that pits a Soundgarden riff against an in-your-grill banjo. As with "Kerosene," revenge is the winner. What Lambert lacks in hospitality she makes up for in generous but provocative songs (including covers of Gillian Welch, Carlene Carter and Griffin) and revamped country-rock vamps where twang still sounds like a threat — no matter which side you're on.